I couldn't find this listed anywhere. This building is just west of Bay St. Description: PUBLIC - PRELIMINARY PROJECT REVIEW, Due Date is 11-MAR-09, >>Proposal to construct a 6 storey addition that contains a new elevator shaft and new vestibule to an exisiting 5 storey school/dormitory/office building. 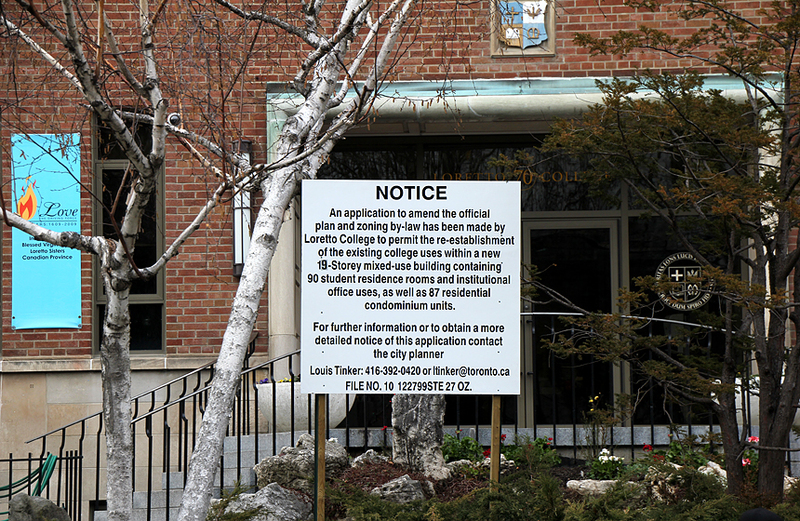 oh wow... this is the "Loretto College" building (belongs to St Michael's College at U of T). There is a new sign out front of this building proposing a new, 10-storey building with student residences on the bottom, and condo on top. sounds much like what they're doing with 77 charles. 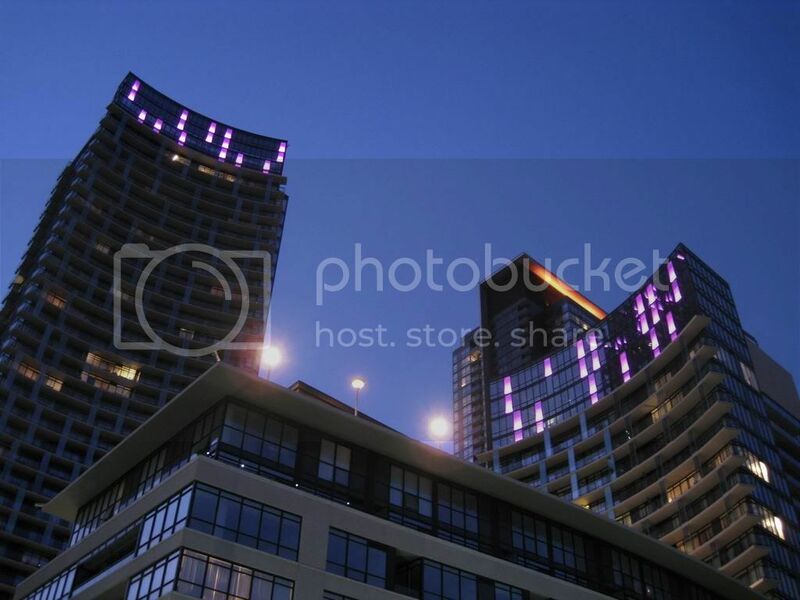 This building? Hmm - it's directly south of 77 Charles. the proposal strikes me as really odd considering they just put in brand new windows everywhere and are in the process of building an elevator shaft on the eastern end. I guess we won't see anything actually come to fruition for a while. strange... They fail to mention that bordering the north end of the site is also the old 63/65 charles street house owned by victoria university. They've only listed the 77 Charles condo as bordering the north end of the site. It's shown on the map, but so are a lot of other buildings that don't exist anymore. Condos? It seems odd. Is St Mike's that pressed for cash that they need to tear down and rebuild one of their main residences? This will be 40 storeys including the 2-storey podium, and 132.75 metres including the mechanical penthouse. It's funny. My knee-jerk reaction was that that's way too high for that location. Then I realized U is immediately south of it. I think I'd prefer this if they made the podium 4-storeys, but cut the footprint in half. It certainly wouldn't hurt to add some more greenspace to the area, with all of the new development. The west end of St. Mary could really do for a nice makeover. Maybe a turning circle with a landscaped island in the middle or something of the sort. Edit: And really, some thought should be given to how this will look from Bloor. Even incomplete, 77 Charles is actually an attractive view terminus. 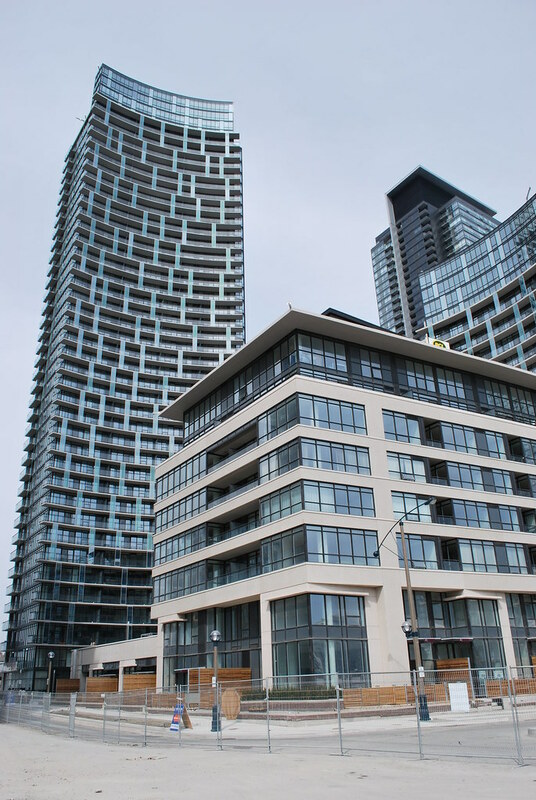 I wonder if the tower is far enough to the east that it won't really be visible from Bloor, and if it is visible how does it relate to 77 Charles?